Max Pryke played his 100th game for Playford when he started the Reserve Team match against Northam Celtic. 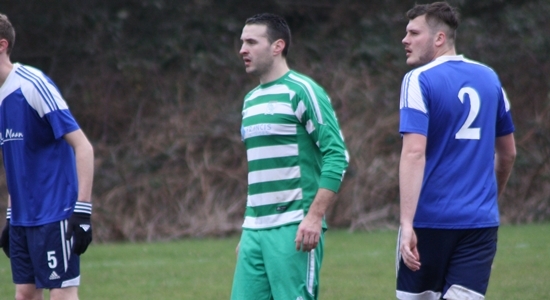 He made his debut as substitute against Whitton Knights back in 2011 and made 15 appearances that season including scoring two goals on the final day against Drum and Monkey. His 30th appearance marked his first full 90 minute game. He made three more at the end of the 202/2013 season, playing in one win and two draws. 2013/2014 saw him join the newly formed reserves, becoming their first captain. Also in 13/14 he scored for the first team this season, what is now part of legend, the decisive goal against Ipswich Bulls to keep up a run of six straight league wins. That run would stretch to 15 wins and then 16 unbeaten as the Firsts lost only one in 18 league games. For 2014/2015 Max took over as Manager of the Reserves, leading them to Whilst playing 34 games and scoring six goals. Although he stepped down as manager he has still played a further ten matches and was part of the side that beat The Feathers to book a place in next weekend�s Junior Cup Semi Final. His 100 games are made up of 43 for the first team and 57 for the reserves.